Hold US Davis Cup Doubles Team Record. Together they are 27-5 overall in doubles. Mike played one doubles match without Bob and is 27-5 overall in doubles. 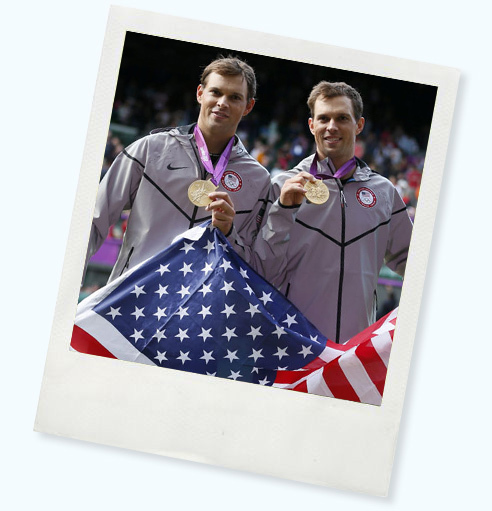 Voted Fans Favorite Doubles Team: 13 consecutive years; every year the ATP has had the award. Most career doubles finals: 169 - 114 titles and 55 finals. Only team or individual doubles player to win at least 5 titles for 14 consecutive years. The Bryans have achieved the Career Golden Masters having won each Master Series Tournament at least once and some as many as five times. Earliest the #1 ranking has ever been clinched in singles or doubles: August 19th, 2013. Most prize money ever won won by a doubles team in one year: $3,265,708 during the 2013 season.